This is the summary of consumer reviews for Fasmov Car Wash Pressure Washer Jet Wash. The BoolPool rating for this product is Very Good, with 4.20 stars, and the price range is $16.00-$20.00. All consumers seem to agree that the Fasmov Car Wash Pressure Washer is cheap. 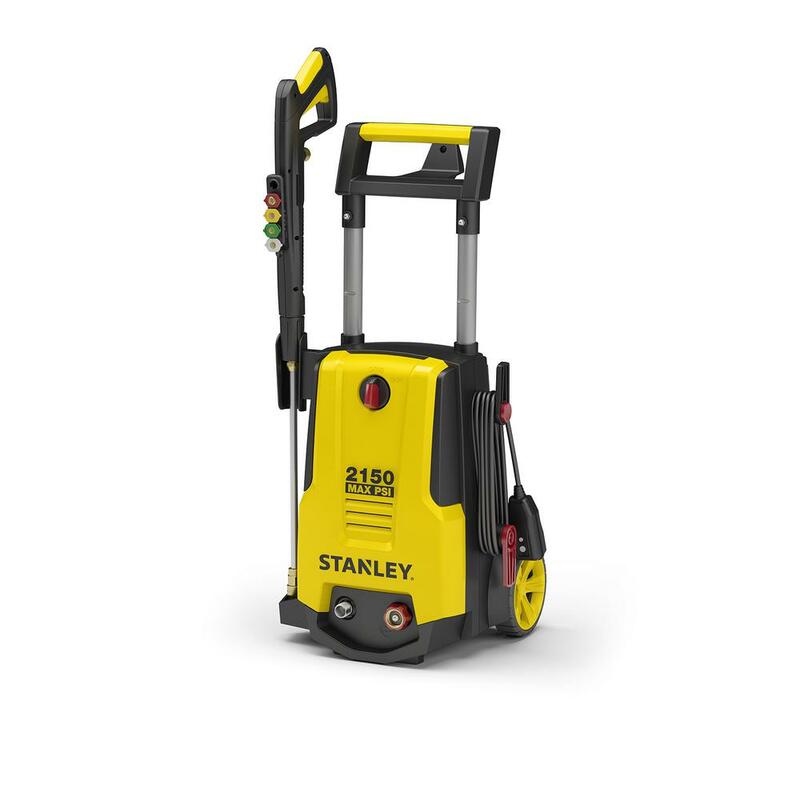 However, all consumers also seemed to be surprised by this pressure washer’s quality. 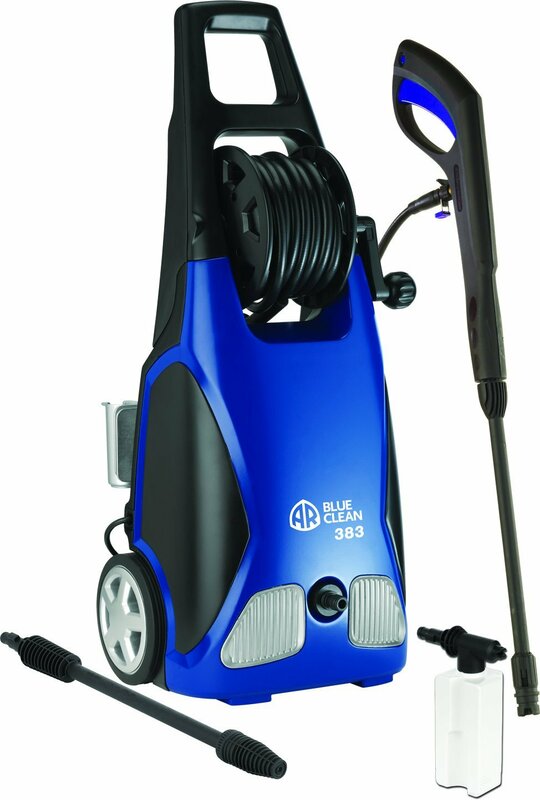 Various reviews raved that this $20 pressure washer works just as well as the $70 top brands. They all felt relieved they went with this less expensive option first. This Fasmov has all the amenities of the top shelf brands; thick foam, adjustable pressure, and even adjustable spray pattern. The few negative reviews there were noted that the Fasmov Pressure Washer was counter-intuitive. Even with all these fancy perks, people seemed to struggle with making them work. There was confusion over the soap-to-water ratio and pressure settings. However, with a little practice, it should be easy to figure out. 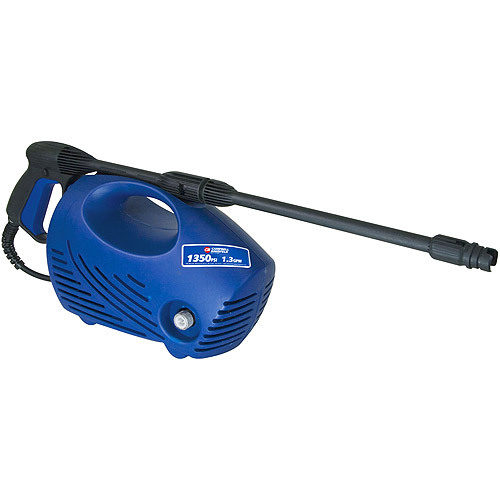 The undeniable attraction to the Fasmov Pressure Washer Jet Wash is the price. 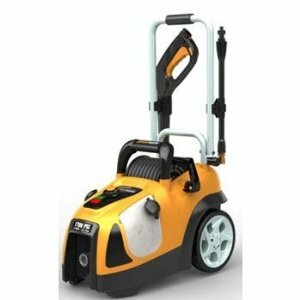 Even if there is concern that the reviews are all hype, the low price makes this pressure washer worth investigating before upgrading to the big name, higher priced brands. Still well worth the money. This works like any other I've seen in videos or for sale, just save money buying this. Please take my word, don't buy the expensive Chemical Guys or other brands for over quadruple the money. Save & buy other car parts :) You're welcome car world. 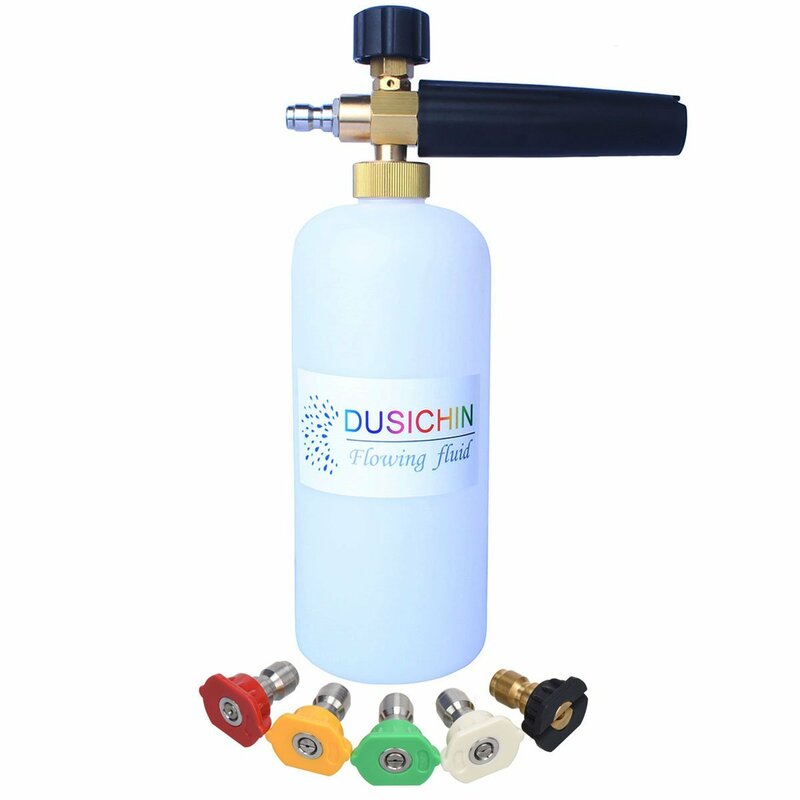 Save yourself some money and pick up this foam gun over the expensive brand names out there. The very best you can buy.. I've a husky 1800 psi and I needed to buy an extension for it. They're pretty much the same thing, very happy with this buy. Lots of adjustment on the spray pattern. The spray pattern adjustment won't stay set. Spray adjustment on second unit is a waste as it fails to make any difference. 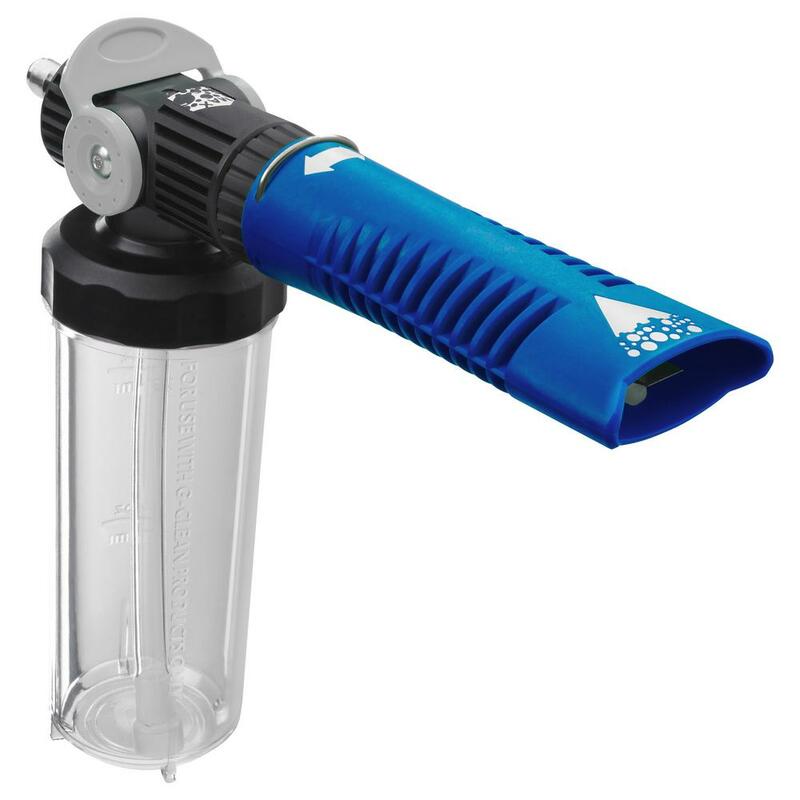 The spray nozle allows you spray with more or less preasure. Works great, nice quality, cant beat the price!! Top knob allows you control how much foam you spray. Two stars as it works, but would love to be able to adjust the flow width as per first unit. You'll need to play with the knob thing to get the right spray for your soap and what not but it sure does the job once it's adjusted right. Connected to my electric Snap-on pressure washer and with the proper adjustment sprayed thick suds that clings to the car. Great foam cannon that worked well with my Sun Joe 2100 psi electric pressure washer with no modifications. I used a sunjoe electric 2030 psi pressure washer. This also produced the same nice thick foam. It shoots crazy amounts of thick foam like those industrial cleaners if not better! As with all foam cannons, if you use it on a gas powered pressure washer you'll get better results than with an electric, but I use it on a 1600 PSI electric Ryobi for washing the cars and it paints the car in thick foam. This things produces a thick rich foam. This thing shoots out a thick foam like nobody's business. It created a nice thick foam that easily coated the car and lifted off dirt. 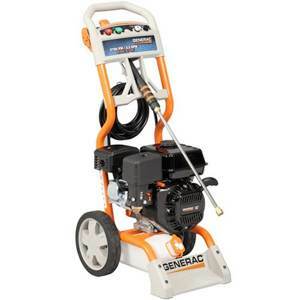 I use this with a cheap electric greenworks pressure washer 1600 psi that I got from Lowes. Works just as well as the Chemical Guys version at a fraction of the price. Saves me time when washing vehicles. He's able to wash and rinse the truck in no time though it's not as good as a hand detail but if you're in a pinch for time or just wanting to get it over with this's the answer to your time problems. I've used it three times now. Saw a few YouTube people using other ones for 4 times the price. Have used this 3 times since I purchased and yet to have any issues, the +/- spray nozzle on top is backwards. I do think it'll break the first time I drop it though. I've used this at least 4 times now and I can believe I waited so long to get a pressure washer and foam cannon. The only down side that I've noticed after washing my car several times is that you still have residue or dust on the body of the car. + turns off the foam, - turns it on. Foams well and waaay cheaper than the Chemical Guys gun. 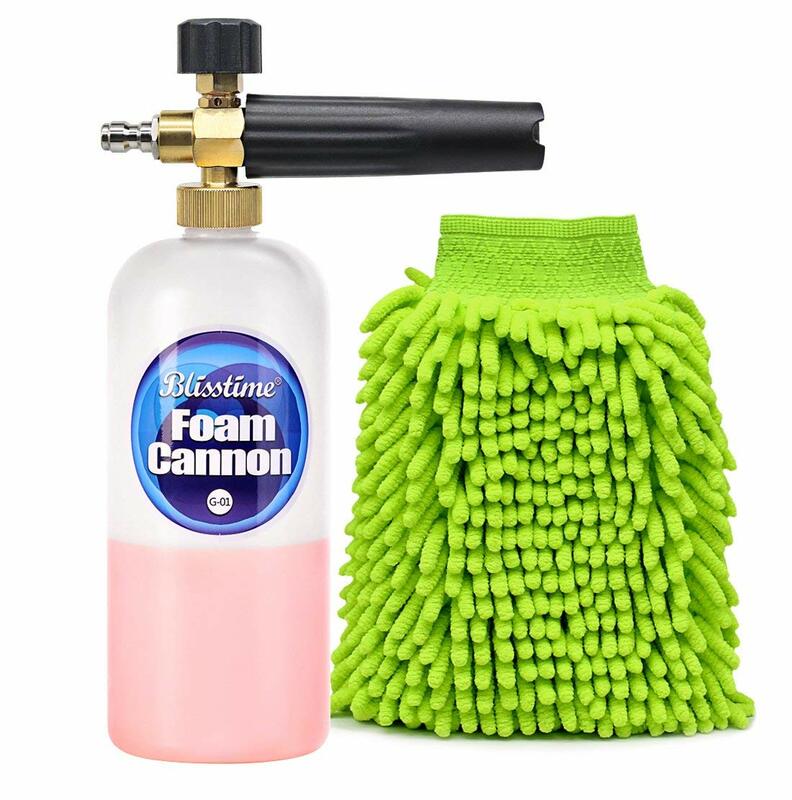 Always wanted to get the chemical guys foam cannon. Just as good as the Chemical Guys $90 foam gun. P.s. after looking at actual pictures of the chemical guys one. As good as the $70 cannons from Chemical guys. My car looks cleaner than it did after the self serve car wash. 100% recommend this over the chemical guys sprayers. Well the same day I bought and used the chemical guys cannon, I went back onto Amazon to buy the one that fit a pressure washer. 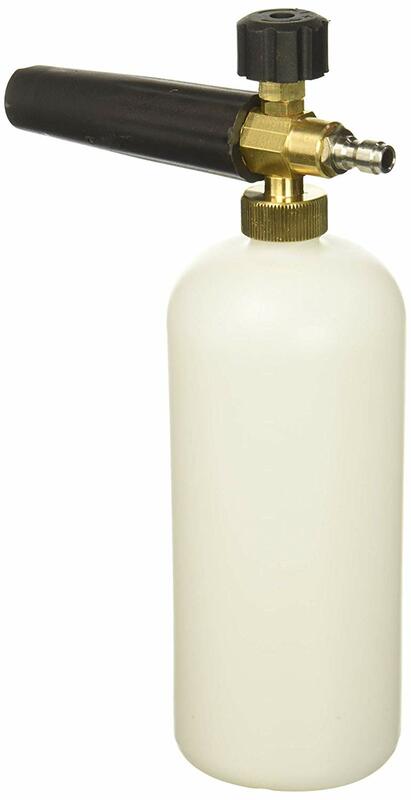 First thing is, I first bought the chemical guys foam cannon 6 because of all the great reviews. Using chemical guys maxi-suds wash, note that our water is so hard (calcium of over 800ppm). I bought it and got it today (4/15/17) and filled it with a mix of the chemical guys Max suds and warm water, and went to work. The foam cannon works great when it actually works. Surprised how well it worked. Btw, I'm using the cheapest Harbor Freight (Portland brand) electric pressure washer (1750 max psi, 1450 working psi), and I need a "1.1mm orifice" to get good foam -- well worth the upgrade, it works great now. Works good, especially for the price! Works really good and really high quality for the price. Fixed the leaks and thing worked like a charm. Worked well after I'd to tighten the fittings. Works as good as the more expensive brands. I dilute 1:10 with soap concentrate, and the foam gun sprays thick suds every time. I dilute 1:10 with soap concentrate and the foam gun sprays thick suds every time. Make sure to use with the appropriate soap like Meguiars hyperwash or another soap that can be diluted as it runs through soap pretty quickly. I've used it with purple soap and car soap. I received it fine, added some soap and water to the tank, hooked it up to my gas powered pressure washer and water came out but no soap. I use the high quality Meguiar's car wash gel soap at about a 50/50 mix of soap and water and this jet puts down an amazing subs without using a ton of product. If you don't want to use a lot of soap, like I first did, first put about 1-2 inches of soap then fill the rest up with water. It no longer entrains the soap with the water jet. Filled it with soap and foam for days. I'd say it saves soap and helps reduce the chance of scratches because it lubricates the entire car very well compared to a bucket and soap. I used to fill a bucket, add soap and water, get a good suds, and start washing with my mit. Works with any soap or car wash detergent!! Works with ANY SOAP OR CAR WASH DETERGENT!!. I used Meguiar's G7164 Gold Soap which works great, but I switched to Adams soap. Filled with the suggested amount of wash soap and it worked like a charm. I used 4oz of Meguiars Gold Class soap and filled the rest with water and foamed away. This unit also works fine with my 2000PSI electric pressure washer. Works great with my Ryobi 1600PSI 1.2GPM electric pressure washer. The gun adjustment also works great for tall vehicles were you need a long stream to get soap on the roof. Fill the bottom about 2 inches of car soap then fill with warm water and seal it up.